LocalDate - a date without time e.g. 2014-01-14. It can be used to store birthday, anniversary, date of joining etc. They are also coming with better time zone support with ZoneOffSet and ZoneId. Parsing and Formatting of Dates are also revamped with new DateTimeFormatter class. By the way, just remember that I wrote this article almost a year ago when Java was about to launch, so you will find examples have dates of the previous year. When you will run those sample, it will surely return correct values. Someone asked me what is the best way to learn a new library? My answer was, use that library as if you are using it for your real project. There are too many real requirements in a real project, which prompts a developer to explore and learn a new library. In short, it's a task which motivates you to explore and learn new API. 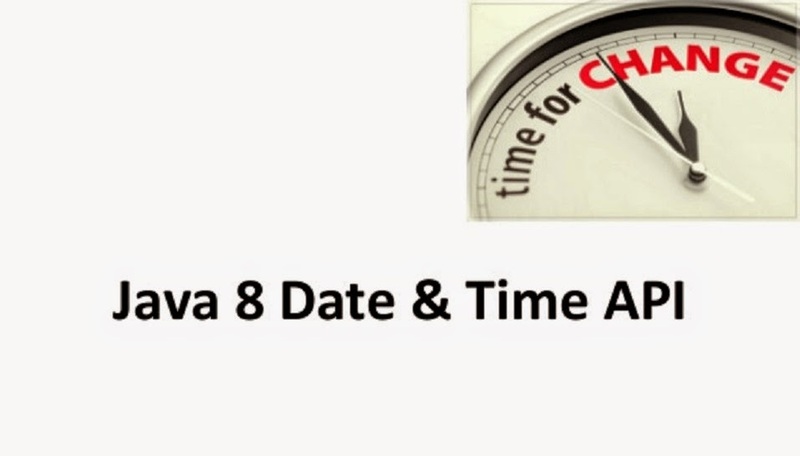 Java 8's new date and time API is no different. I have created a list of 20 task-based examples to learn this new gem from Java 8. We will start with simple task e.g. how to represent today's date using Java 8 Date Time library then move forward to create date with time and time zone, exploring how to do more real-world task like for creating a reminder application how to find number of days to important dates e.g. birthday, anniversary, next bill date, next premium date, your credit card expiry etc. Java 8 has a class called LocalDate which can be used to represent today's date. This class is little different than java.util.Date because it only contains the date, no time part. So anytime if you just to represent date without time, use this class. You can see that it has created today's date without any time information. It also prints the date in a nicely formatted way, unlike previous Date class which print data non-formatted. 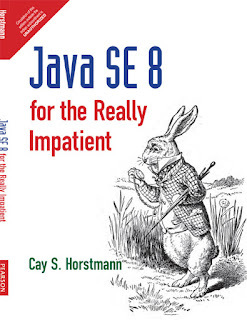 You can also see Java SE 8 for Really impatient to learn about different ways to create LocalDate in Java 8. You can see that how easy it is to get year or month from a date in Java 8, just use corresponding getter method, nothing to remember, very intuitive. Compare this with the older way of getting the current date, month, and year in Java. In the first example, we have seen that creating today's date was very easy because of static factory method now(), but you can also create a date from any arbitrary date by using another useful factory method called LocalDate.of(), this takes a year, month and date and return an equivalent LocalDate instance. The good thing about this method is that it has not repeated mistake done in previous API e.g. year started from 1900, months starting from zero etc. Here dates are represented in the way you write it e.g. in the following example it will represent 14th January, nothing is hidden about it. You can see that as expected the date created is exactly same as written and represent 14th January 2014. See Java 8 in Action to learn more about the difference between LocalDate and java.util.Date in Java 8. Talking about real world date time task, one of them is to checking whether two dates are same or not. Many times you would like to check whether today is that special day, your birthday, anniversary or a trading holiday or not. Sometimes, you will get an arbitrary date and you need to check against certain date e.g. holidays to confirm whether given date is a holiday or not. In this example the two dates we compared are equal. BTW, If you get a formatted date String in your code, you will have to parse that into a date before checking equality. Just compare this with the older way of comparing dates in Java, you will find it a fresh breeze. Another practical task related to date and time in Java is checking for recurring events e.g. monthly bills, wedding anniversary, EMI date or yearly insurance premium dates. If you are working for an E-commerce site, you would definitely have a module which sends birthday wishes to your customer and seasons greetings on every major holiday e.g. Christmas, Thanksgiving date or Deepawali in India. How do you check for holidays or any other recurring event in Java? By using MonthDay class. This class is a combination of month and date without a year, which means you can use it for events which occur every year. Since today's date matches with the birthday, irrespective of year you have seen the birthday greeting as output. You can run this program by advancing your windows date and time clock and see if it alerts you on your next birthday or not, or you can write a JUnit test with the date of your next year birthday and see if your code runs properly or not. 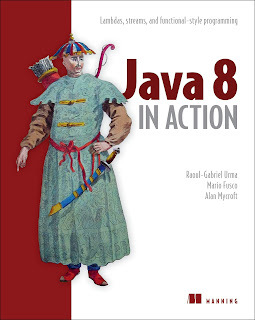 This is very similar to our first example of getting the current date in Java 8. This time, we will use a class called LocalTime, which is the time without date and a close cousin of LocalDate class. Here also you can use static factory method now() to get the current time. The default format is hh:mm:ss:nnn where nnn is nanoseconds. BTW, compare this how to get current time before Java 8. You can see that current time has no date attached to it because LocalTime is just time, no date. In many occasions, we would like to add hours, minutes or seconds to calculate time in future. Java 8 has not only helped with Immutable and thread-safe classes but also provided better methods e.g. plusHours() instead of add(), there is no conflict. BTW, remember that these methods return a reference to new LocalTime instance because LocalTime is immutable, so don't forget to store them back. You can see that new time is 2 hours ahead of current time which is 16:33:33.369. Now, try to compare this with older ways of adding and subtracting hours from a date in Java. Let us know which one is better. This is similar to the previous example, there we learned how to find time after 2 hours and here we will learn how to find a date after 1 week. LocalDate is used to represent date without the time and it got a plus() method which is used to add days, weeks or months, ChronoUnit is used to specify that unit. Since LocalDate is also immutable any mutable operation will result in a new instance, so don't forget to store it back. You can see that new date is 7 days away from the current date, which is equal to 1 week. You can use the same method to add 1 month, 1 year, 1 hour, 1 minute and even 1 decade, check out ChronoUnit class from Java 8 API for more options. This is a continuation of the previous example. In the last example, we learn how to use plus() method of LocalDate to add days, weeks or months in a date, now we will learn how to use the minus() method to find what was the day before 1 year. You can see that we now have two years, one is in 2013 and other is in 2015, the year before and after the current year 2014. Java 8 comes with a Clock, which can be used to get current instant, date and time using time zone. You can use Clock in place of System.currentTimeInMillis() and TimeZone.getDefault(). This could be useful if you want to process dates on the different time zone. This is another very common task in an actual project. How do you find if a given date is before, or after current date or just another date? In Java 8, LocalDate class has got methods like isBefore() and isAfter() which can be used to compare two dates in Java. isBefore() method return true if given date comes before the date on which this method is called. You can see that how easy it is to compare dates in Java 8. You don't need to use another class like Calendar to perform such essential tasks. 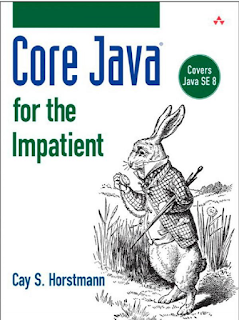 You can see Core Java for the Impatient to learn more ways to compare Dates in Java. Like our MonthDay example for checking recurring events, YearMonth is another combination class to represent things like credit card expires, FD maturity date, Futures or options expiry dates etc. You can also use this class to find how many days are in the current month, lengthOfMonth() returns a number of days in the current YearMonth instance, useful for checking whether February has 28 or 29 days. Based on this data, you can now send a reminder to the customer about his credit card expiry, very useful class in my opinion. Nothing fancy here, LocalDate class has isLeapYear() method which returns true if the year represented by that LocalDate is a leap year. If you still want to reinvent the wheel, check out this code sample, which contains a Java program to find if a given year is leap using pure logic. You can further check some more year to see if it correctly identify a leap year or not, better write a JUnit test to check for normal and leap year. One of the common tasks is to calculate the number of days, weeks or months between two given dates. You can use java.time.Period class to calculate the number of days, month or year between two dates in Java. In the following example, we have calculated the number of months between the current date and a future date. System.out.println("Months left between today and Java 8 release : "
You can see that current month is January and Java 8 release is scheduled in March, so 2 months away. In Java 8, you can use ZoneOffset class to represent a time zone, for example, India is GMT or UTC +05:30 and to get a corresponding timezone you can use static method ZoneOffset.of() method. Once you get the offset you can create an OffSetDateTime by passing LocalDateTime and offset to it. You can see the timezone attached to date and time now. BTW, OffSetDateTime is meant for machines for human dates prefer ZoneDateTime class. You can see that current timestamp has both date and time component, much like java.util.Date, in fact, Instant is your equivalent class of pre-Java 8 Date and you can convert between Date and Instant using respective conversion method added in both of these classes e.g. Date.from(Instant) is used to convert Instant to java.util.Date in Java and Date.toInstant() returns an Instant equivalent of that Date class. Date and time formatting was very tricky in pre-Java 8 world, our only friend SimpleDateFormat was not threading safe and quite bulky to use as a local variable for formatting and parsing numerous date instances. Thankfully, thread local variables made it usable in multi-threaded environment but Java has come a long way from there. It introduced a brand new date and time formatter which is thread-safe and easy to use. It now comes with some predefined formatter for common date patterns. For example, in this sample code, we are using predefined BASIC_ISO_DATE formatter, which uses the format 20140114 for January 14, 214. You can clearly see that generated date has the same value as given String, but with different date pattern. In the last example, we have used an inbuilt date and time formatter to parse date strings in Java. Sure, predefined formatters are great but there would be a time when you want to use your own custom date pattern and in that case, you have to create your own custom date time formatter instances as shown in this example. Following example has a date in format "MMM dd yyyy". You can create a DateTimeFormatter with any arbitrary pattern by using ofPattern() static method, it follows same literals to represent a pattern as before e.g. M is still a month and m is still a minute. An Invalid pattern will throw DateTimeParseException but a logically incorrect where you use m instead of M will not be caught. You can see that the value of Date is same as the String passed, just they are formatted differently. In last two example, though we have been using DateTimeFormatter class but we are mainly parsing a formatted date String. In this example, we will do the exact opposite. Here we have a date, instance of LocalDateTime class and we will convert into a formatted date String. This is by far the simplest and easiest way to convert Date to String in Java. The following example will return formatted String in place of Date. Similar to the previous example, we still need to create a DateTimeFormatter instance with given pattern but now instead of calling parse() method of LocalDate class, we will call format() method. This method returns a String which represents a date in a pattern represented bypassed DateTimeFormatter instance. You can see that current time is represented in given "MMM dd yyyy hh:mm a" pattern which includes three letter month representation followed by time with AM and PM literals. After going through all these examples, I am sure you have learned a lot of new things about Java 8 Date and Time API. Now let's take a step back and recall some important points about this beautiful API. 1) Provides javax.time.ZoneId to deal with timezones. 3) All classes of new Date and Time API of Java 8 are Immutable and thread-safe, as opposed to existing Date and Calendar API, where key classes e.g. java.util.Date or SimpleDateFormat are not thread-safe. 4) The key thing to new Date and Time API is that it define principle date-time concepts e.g. instants, durations, dates, times, timezones and periods. They are also based on the ISO Calendar system. LocalDate - represents a date without a time e.g. 2014-01-14. It can be used to store birthday, anniversary, date of joining etc. 4) The main package is java.time, which contains classes to represent dates, times, instants, and durations. Two sub-packages are java.time.format for obvious reasons and java.time.temporal for a lower level access to fields. 5) A time zone is a region of the earth where the same standard time is used. Each time zone is described by an identifier and usually has the format region/city (Asia/Tokyo) and an offset from Greenwich/UTC time. For example, the offset for Tokyo is +09:00. 6) The OffsetDateTime class, in effect, combines the LocalDateTime class with the ZoneOffset class. It is used to represent a full date (year, month, day) and time (hour, minute, second, nanosecond) with an offset from Greenwich/UTC time (+/-hours:minutes, such as +06:00 or -08:00). 7) The DateTimeFormatter class is used to format and parse dates in Java. Unlike SimpleDateFormat, this is both immutable and thread-safe and it can (and should) be assigned to a static constant where appropriate. DateFormatter class provides numerous predefined formatters and also allows you to define your own. Following the convention, it also has parse() to convert String to Date in Java and throws DateTimeParseException, if any problem occurs during conversion. Similarly, DateFormatter has a format() method to format dates in Java, and it throws DateTimeException error in case of a problem. 8) Just to add, there is subtle difference between date formats "MMM d yyyy" and "MMM dd yyyy", as former will recognize both "Jan 2, 2014" and "Jan 14, 2014", but later will throw exception when you pass "Jan 2, 2014", because it always expects two characters for day of month. To fix this, you must always pass single digit days as two digits by padding zero at beginning e.g. "Jan 2, 2014" should be passed as "Jan 02 2014". That's all about how to use new Java 8 Date and Time API. These short examples are great to understand new classes introduced in this new API. Since it is also task based, you don't need to look around when it comes to doing your day to day date and time-related programming task in Java. We have learned how to create and manipulate date instances. We learned about pure dates, a date with time and date with timezones, learned how to calculate the difference between two days, seen examples of finding a number of days left between now and a fixed day like your next birthday, anniversary or your insurance premium date. We have also learned how to parse and format dates in Java 8 in a threadsafe manner without using tricky tricks like thread local variable or a third party library like Joda Time. This new API should now be used as a standard for any date and time-related task. Nice summary of dates and times. I noticed that Item 6 stated that the unit right after seconds was nanoseconds. This is actually in milliseconds. Nanoseconds are available from the class, but the default toString only shows it with the precision limited to milliseconds. @Anonymous, Yes you are correct, thanks for input. I've discovered that in spite of the example here and on the Oracle page, you can't just use HOURS for temporal unit. At least not per the Eclipse compiler. You have to specify it as ChronoUnit.HOURS. How do you parse a String to LocalTime and LocalDateTime object in Java 8? I tried using DateTimeFormatter, but it returns TemporarlAccessor, which I don't know how to convert to LocalTime and LocalDateTime, can you please help? Very good information on DATE and TIME API. Examples are very easy to understand and workable. Excellent article on date and time based APIs. How easy would it be to convert a Julian date to a UTC time with milliseconds precision? how to get current time in every 15 minutes ? What is difference between SQL, T-SQL and PL/SQL? Why we use Threads in Java? Why Comparing Integer using == in Java 5 is Bad?